If you have been shopping around for a mid-size SUV, chances are you have at some point compared the 2018 Jeep Cherokee vs. 2018 Toyota RAV4. 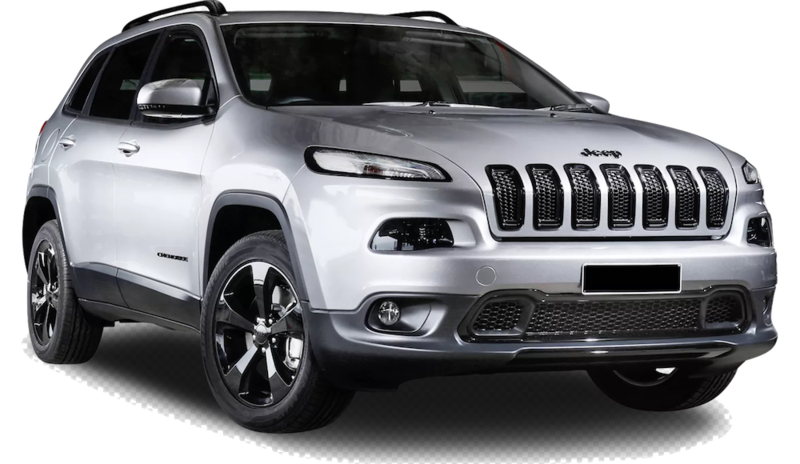 No matter what you are looking for in a mid-size SUV you can bet that the 2018 Jeep Cherokee can provide it. 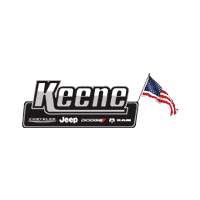 Depending on the trims and options you chose, you can customize the Cherokee to be the ultimate road-trip SUV, family vehicle, luxury ride, or off-roader. The Toyota RAV4 also offers impressive options and will leave buyers impressed with its many available trims. For 2018, the RAV4 offers a new trim level, the Adventure. This new trim appeals to outdoorsy buyers with its larger wheels, taller ride height, and other off-road friendly features. The Jeep Cherokee comes in 9 available trim levels, while the Toyota RAV4 comes in 12. While these cars both have great options for those seeking a mid-size SUV, once you closely compare both SUVs in performance, technology, safety, and available options and trim packages, you may find yourself leaning towards the 2018 Jeep Grand Cherokee for its extra touches in every category that push it out ahead of the pack. The 2018 Jeep Cherokee comes with an impressive list of options and trim packages. The Cherokee comes in 9 trim options. Depending on the specifics that you are looking for, there is definitely a trim level that is perfect for you. There is the Latitude Plus and the Latitude Plus 4X4. The Limited trim level also comes in 4X4 and front wheel drive. The Trailhawk is an impressive four-door 4X4, while the Overland trim also gives the option of front-wheel drive or 4X4. The Toyota RAV4 offers 12 trim levels. However, the extra trim offerings do not really offer much more than the Cherokee’s 9 options. 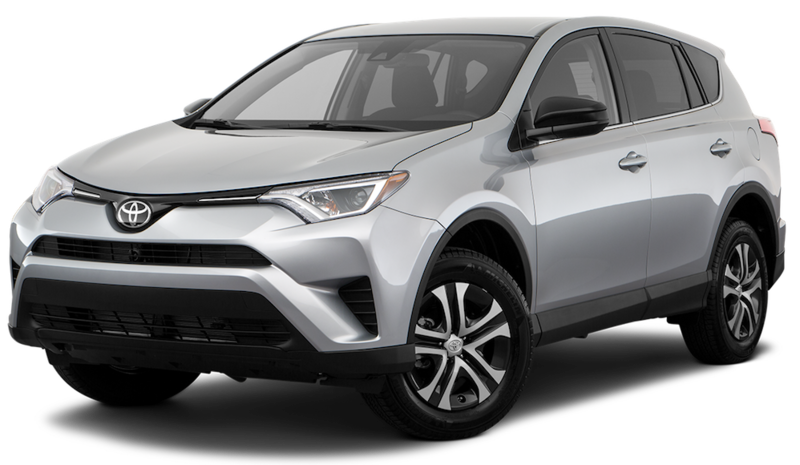 For the RAV4 there is the LE front-wheel drive, the XLE front-wheel drive, LE all-wheel drive, XLE all-wheel drive, Adventure front-wheel drive (a new trim for the 2018 model), SE front-wheel drive, SE all-wheel drive, Limited in both front-wheel drive and all-wheel drive. At the top of the trim levels is the Platinum in both front-wheel drive and all-wheel drive. A hybrid model is also available. All of the trim levels on the Cherokee offer impressive options, and many wonderful details come standard on all of the levels. The 2018 Cherokee goes above and beyond in comfort, capability, and safety making it one of the most impressive midsize SUVs in its class. Cherokee also offers heated seating, as well as heated steering wheel and remote start options. Cherokee’s personalized instrument cluster is the kind of detail that sets The 2018 Jeep Cherokee apart. The 2018 Jeep Cherokee has over 70 available active and passive safety and security features to give both the driver and passenger the confidence that they are protected. The high-strength steel body creates a solid structure that increases crash protection while optimizing vehicle dynamics and weight. There are 10 advanced airbags in the 2018 Jeep Cherokee – including full-length side-curtain airbags, and driver and front passenger knee bolster airbags to help protect passengers. The 2018 Toyota RAV4 offers Blind Spot Monitor Technology and Rear Cross-Traffic Alert to help identify vehicles or objects that may be out of view while reversing or parking. RAV4’s other safety features include Vehicle Stability Control, Traction Control, Anti-Lock Brake System, Electronic Brake-force Distribution, Brake Assist, and Smart Stop Technology. The 2018 Cherokee also offers Blind Spot technology but also adds in Lane Keep Assist technology and Forward Collision Warning with Advanced Brake Assist. A backup camera and Parking Assist is also available as an option on the Cherokee. Staying connected is a major part of driving and everyday life now. The 2018 Jeep Cherokee recognizes this and offers UConnect technology to help drivers maintain access to their phones, entertainment, navigation and so much more. Drivers can choose from multiple available UConnect options; the UConnect 3C NAV, UConnect 3C, and Uconnect 3, to best tailor the vehicle to their lifestyle needs. The Toyota RAV4 offers two audio systems that incorporate navigation and the Scout GPS Link App which allows drivers to pair their cell phone with the onboard system to get step-by-step directions while driving. The 2018 Cherokee’s extras like Alpine premium auto availability, Memory features for seat positions, exterior mirrors, and audio, as well as an impressive media hub including Bluetooth connectivity, two USB ports, and additional auxiliary ports and 12-volt charging capability, really push the Jeep Cherokee ahead in technology. The 2018 Jeep Cherokee performs well on its crossover tasks but really allows its qualities to shine with its off-road duties. The 2018 Toyota RAV4 has a lot of nice features, and also includes a hybrid model, but lacks in important categories. Both the 2018 Jeep Cherokee and the Toyota RAV4 have 4-wheel braking ABS system and rack-pinion steering. With almost identical fuel tank capacities and the same 30 MPG of highway miles fuel efficiency, buyers will want to look deeper into where these midsize SUVs really differ. Trailering capacity is one area where you can really see the 2018 Jeep Cherokee pull ahead of the Toyota RAV4. The Jeep Cherokee has a dead weight hitch-max tongue weight and distributing hitch-max tongue weight of 200 LBS, the Toyota comes in at only 150 LBS for each. Cherokee pulls ahead by 500 LBS in the categories of dead weight and distributing hitch and maximum trailering capacity of 2,000 LBS, while the RAV4 maxes out in these categories at 1,500 LBS. If you are looking for serious off-road performance, the 2018 Jeep Cherokee delivers Trailhawk off-road skills. The trailhawk is one of the most impressive off-road SUVs in its class. This trim level offers 18-wheels, adjustable air suspension, and limited-slip rear differential, underbody skid plates, and trim-specific interior styling.